We start out on Friday, June 9th, with the Mississippi Night @ Atlanta Braves. Come out and see the new SunTrust Park as the Atlanta Braves take on the New York Mets. Get there early as it is a bobblehead night! Stay late as it is also a Friday night fireworks game! Tickets were purchased to sit as a group from this site and have already been mailed out. Each seat purchased from this site will include a mini Braves bat and Mississippi Society of Georgia backpack to be distributed at the game. The Penn's order has already been placed, but we ordered a few extras (like a good southern host would) and they will be available for $20 Saturday. The plates include catfish, chicken, fried pickles, coleslaw, baked beans, fries, corn nuggets & hushpuppies! 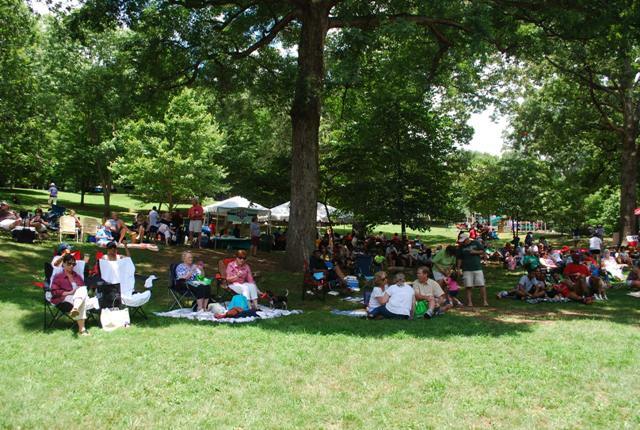 All of your favorites are back with free treats at the picnic! McAlister's is going to be back handing out their delicious cookies and sweet tea. Sugaree's is shipping in a little slice of Mississippi with their famous Caramel cakes from New Albany, Mississippi! Your sweet tooth will be satisfied! Make a donation and get an entry into the scholarship basket prize drawings. Each $5 donation gets an entry and a $20 donation gets 5 entries. 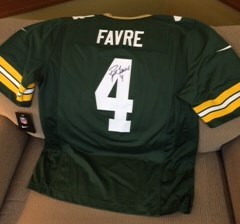 You could win an autographed Brett Favre Green Bay Packers jersey, expertly framed by Briarcliff Frame Shop. Or maybe you would prefer the "Fun Pack" prize package? This one includes a beautiful handmade quilt (made by our own Jimmie Turnage), a family fun pack for Andretti Racing, a family year-long membership to the College Football Hall of Fame, a pair of tickets to Incorruptible @ Onstage Atlanta, Braves tickets with parking, a Missisissippi Encyclopedia, many Mississippi items, and more being added all the time! Shotzy the App has agreed to provide us with a professional photographer for the event. Check out Shotzy for all of your business and personal needs. It could not be any easier to hire and get professional results! How about adding a little more to your weekend by seeing a play? Check out Incorruptible June 2nd - June 25th at Onstage Atlanta, directed by MUW's own Aaron Gotlieb. Use code "Mississippi" to get tickets for only $15 for shows during Mississipi weekend June 9th - 11th.. Find out more and book your tickets at Onstage Altanta.